SHRISTI WELFARE ORGANISATION is located in NALBARI Assam . SHRISTI WELFARE ORGANISATION is registered as a Society at GUWAHATI of state Assam with Ngo unique registration ID 'AS/2009/0013257' . 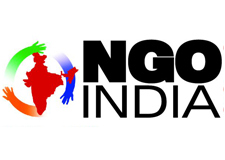 The NGO registration is done by Registrar of Societies with registration number RS/NAL/246/C/08/2005-06 on the date of 27-04-2005, Its parent ORganaisation is PaulFoundation. The Chairman of SHRISTI WELFARE ORGANISATION is SRI RANJAN CHAKRABOTY and Chief functionary officer is SRI JAYANTA KUMAR SARMA. Promoters are SRI BALEN RAJBONGSHY, SRI MRINAL SARMA, SRI LAVITA DEVI,SRI RATAN MANI BHATTACHARYYA.